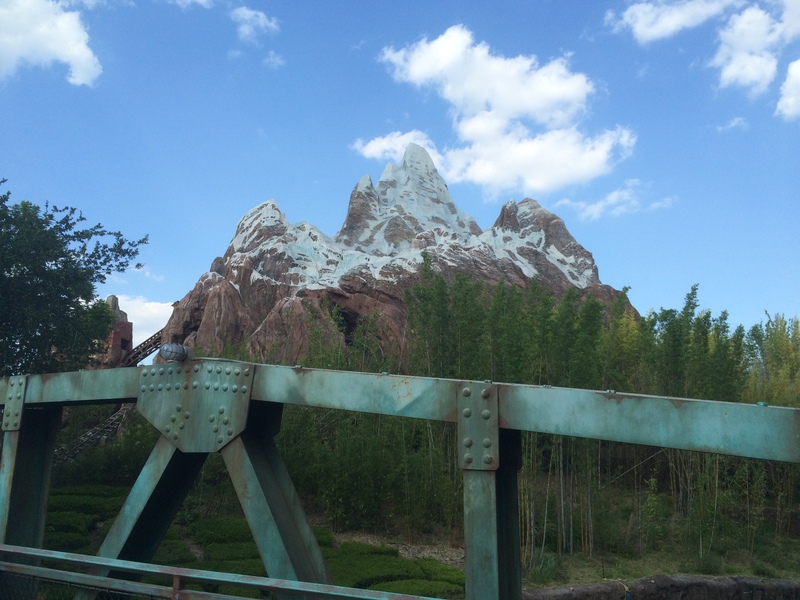 It’s been a while since I last talked about my trip at the end of April/beginning of May to Walt Disney World. So, if you want to check out those posts, click on the appropriate links below. 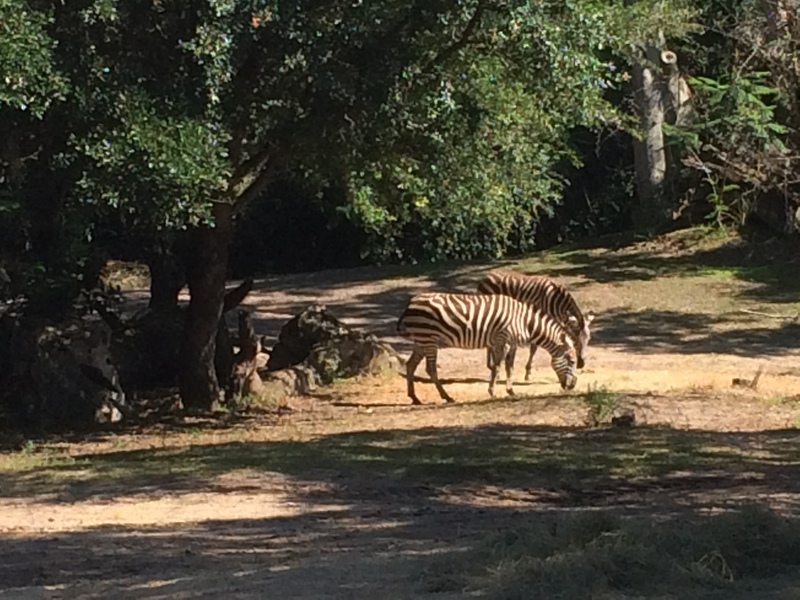 On day 3 of our trip to Walt Disney World, we headed off to Disney’s Animal Kingdom. This is the theme park I’ve spent the least amount of time at in the past. 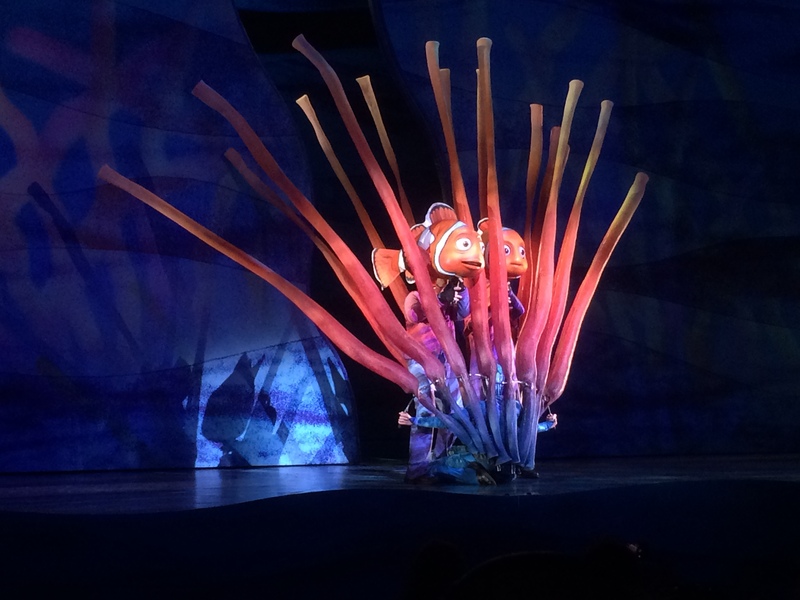 On our honeymoon, we stopped by long enough to see Finding Nemo: The Musical and the Festival of the Lion King. Oh, and we got selected to be in the parade! Yeah, that was cool. 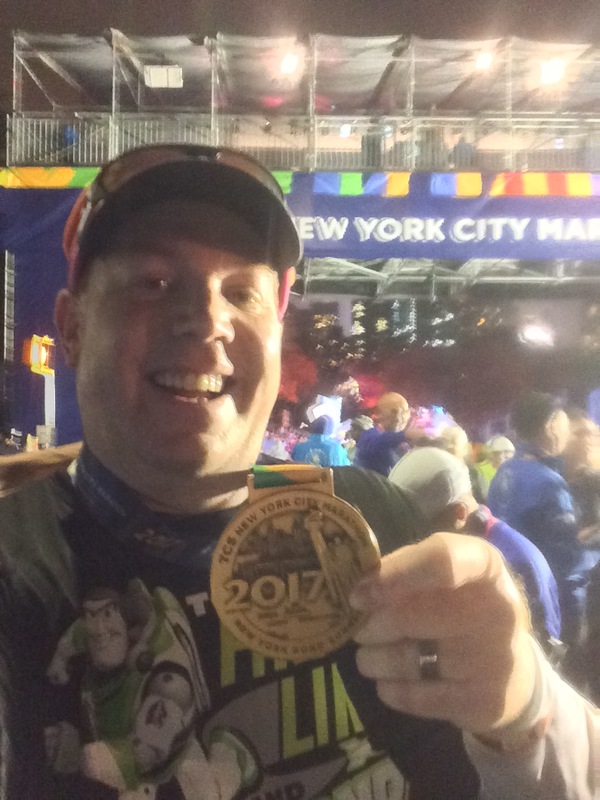 During the Walt Disney World Marathon Weekend, I was only in the park while running through it for the marathon. So, I was really looking forward to spending most of the day here on this trip! 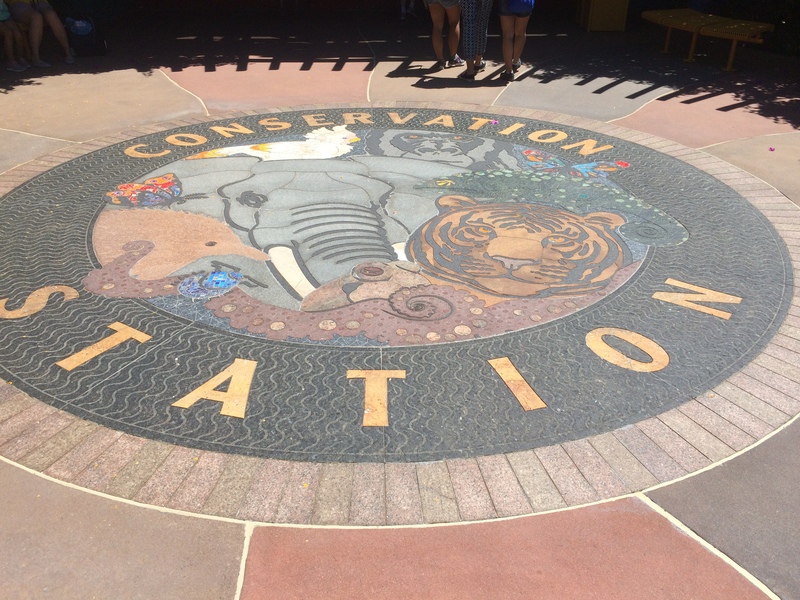 Disney’s Animal Kingdom seems like the theme park that most often gets overlooked. It’s a real shame. This park is soooooo beautiful! 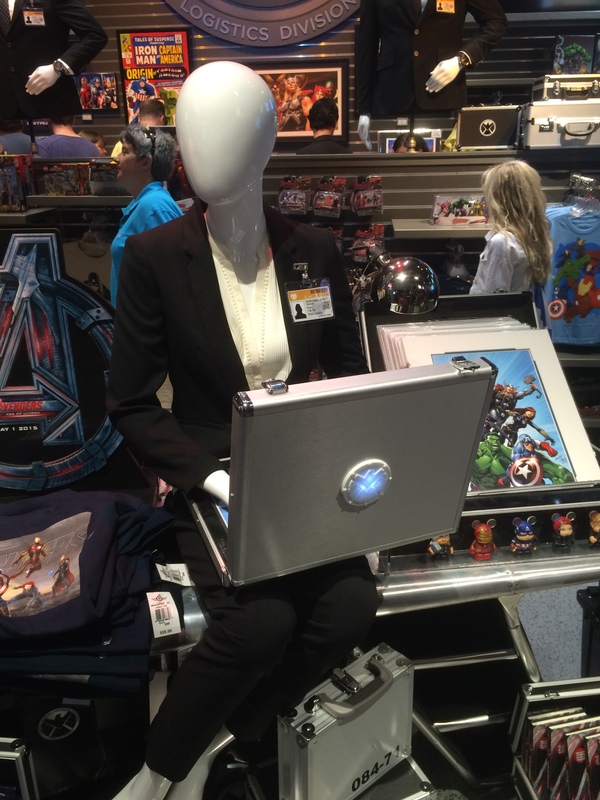 My sister in law works at the California Science Center. 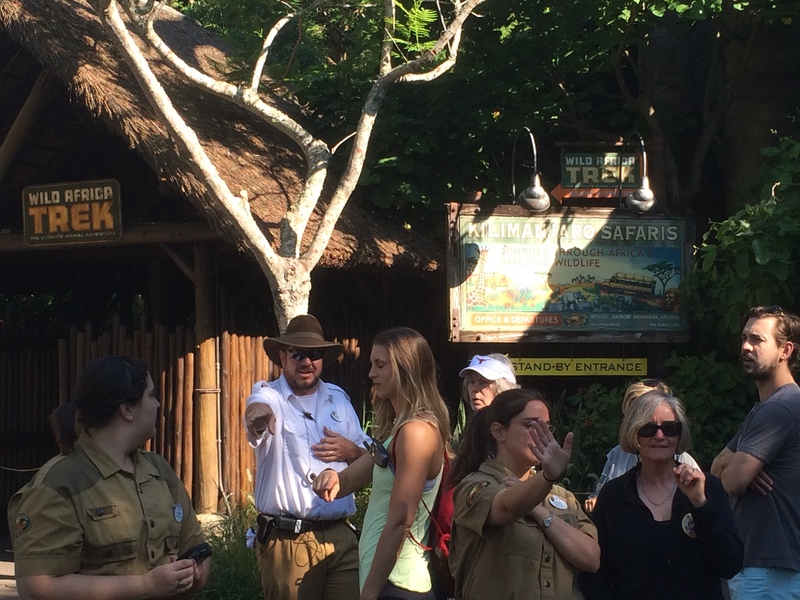 She said we should hit up the Kilimanjaro Safari first thing in the morning because there would be more animals out and about than at other times of the day. So, that’s where we went first. 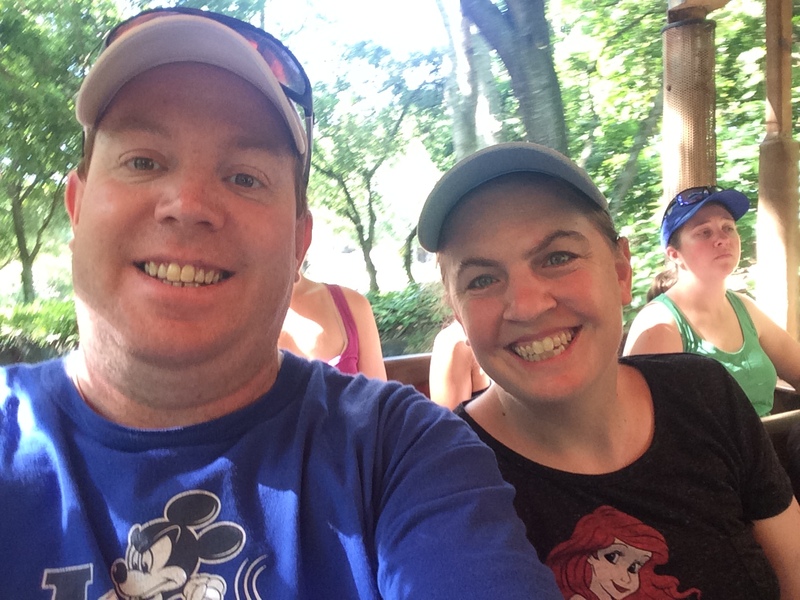 Gotta love the theming Disney puts into their queue lines! Right from the start, the scenery was just awesome! We were so ready for a safari! Oh, and the landscape was off the chains! 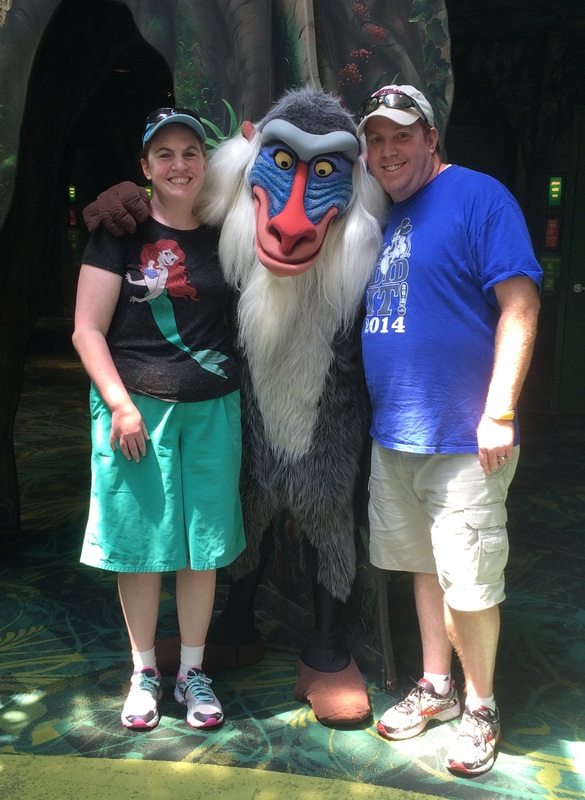 After the safari, we headed off to see the Festival of the Lion King. 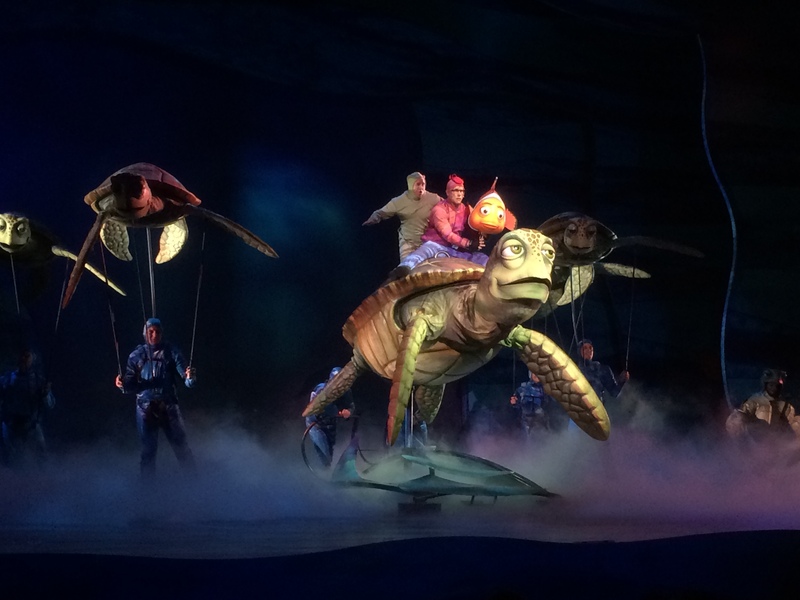 If you haven’t seen this show, you should in your next visit to Walt Disney World. It’s absolutely a beautiful show with all the favorite songs from the movie. As you can see by the couple of videos I took while I was at the show, it’s a wonderful show! 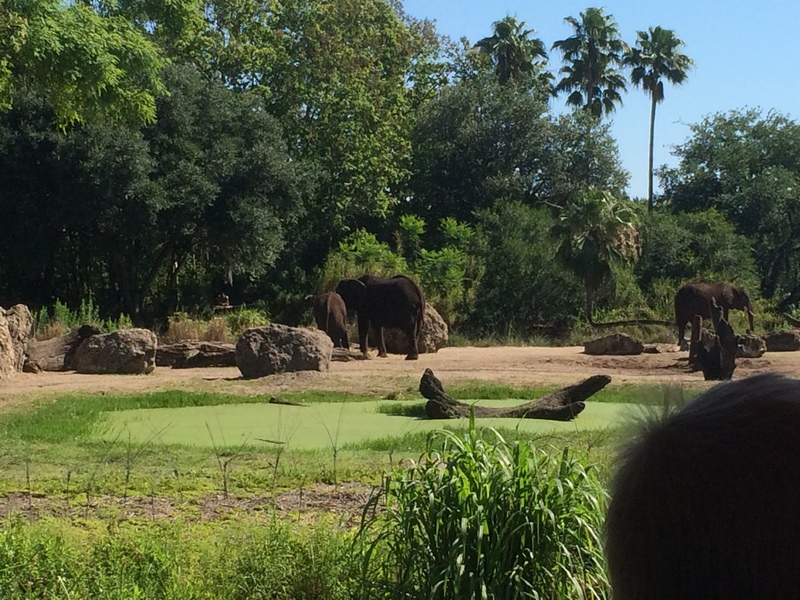 I think the best way to describe Disney’s Animal Kingdom is a zoo meets a theme park. 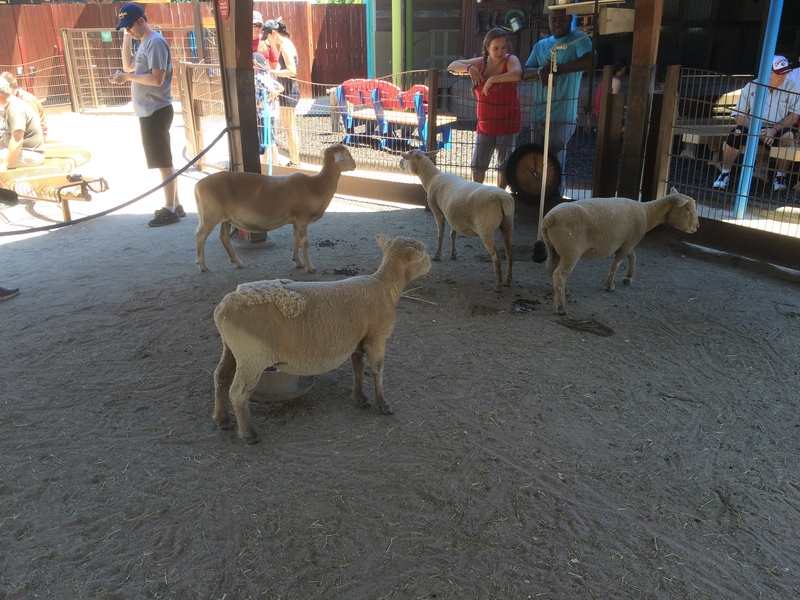 It’s got plenty of animals to check out, rides, and great shows. 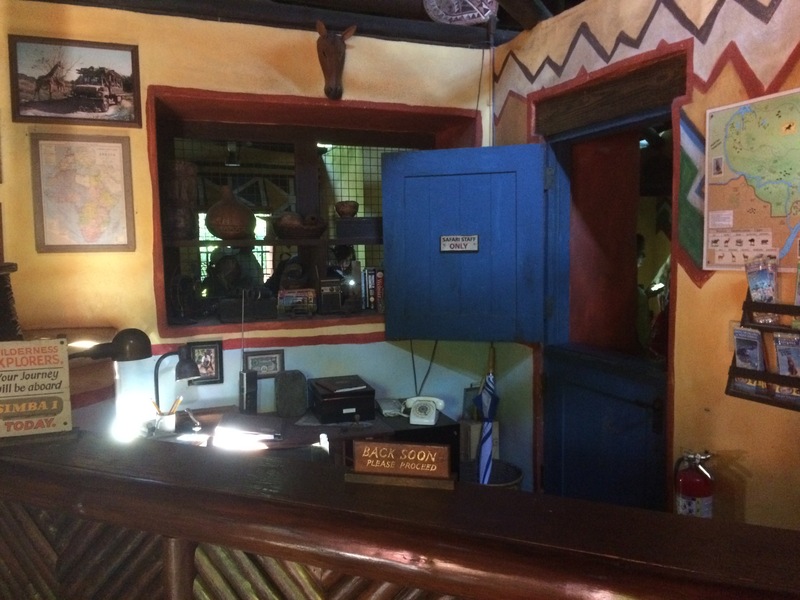 After the Festival of the Lion King, we headed on the train to Rafikki’s Conservation Station. 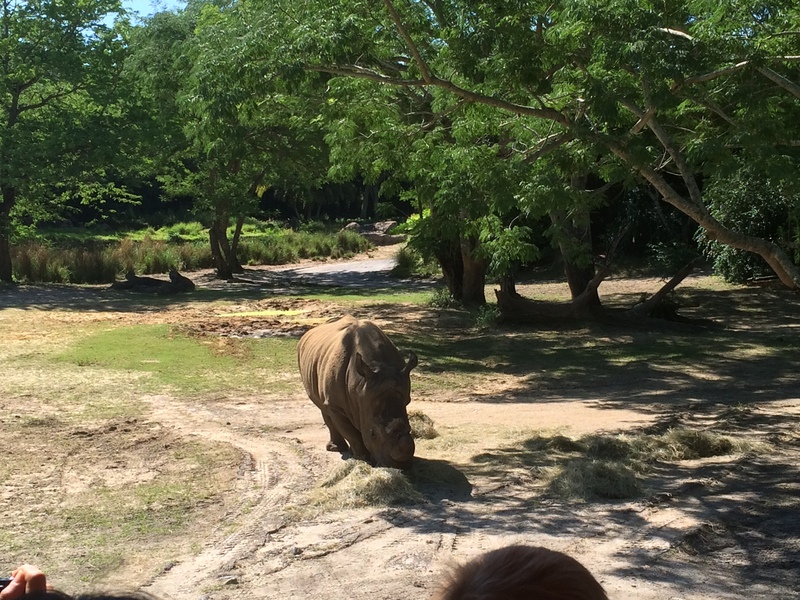 Again, Disney’s Animal Kingdom is not lacking in greenery! 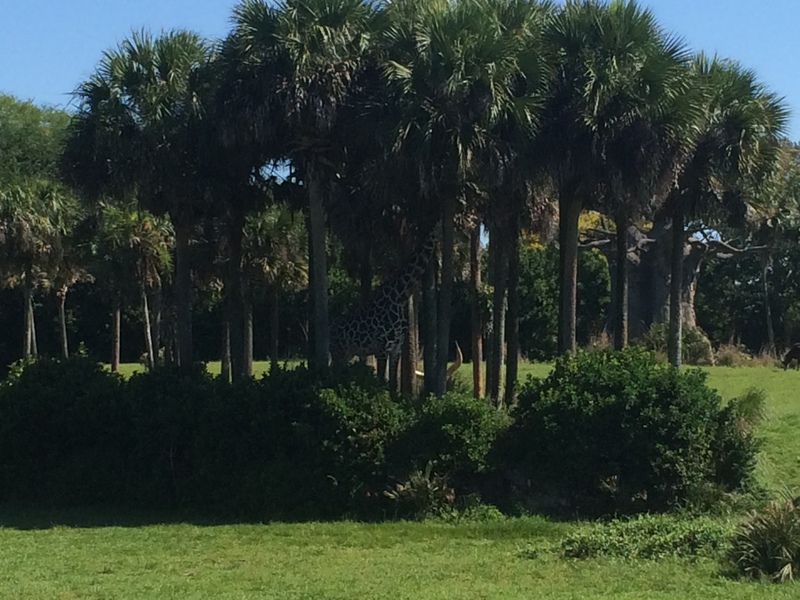 Brooke and I really enjoyed this aspect of the park. It keeps you in a good mood! 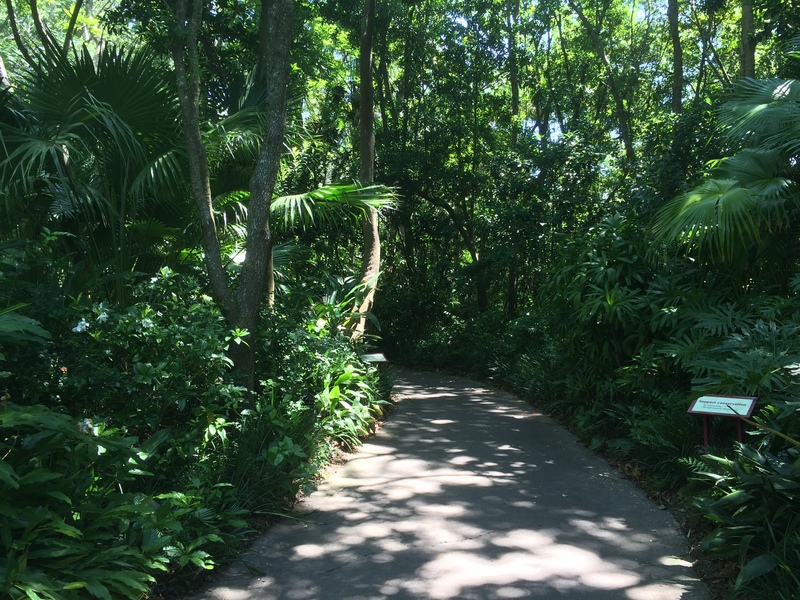 The pathway takes you to an exhibit building with lots to see. 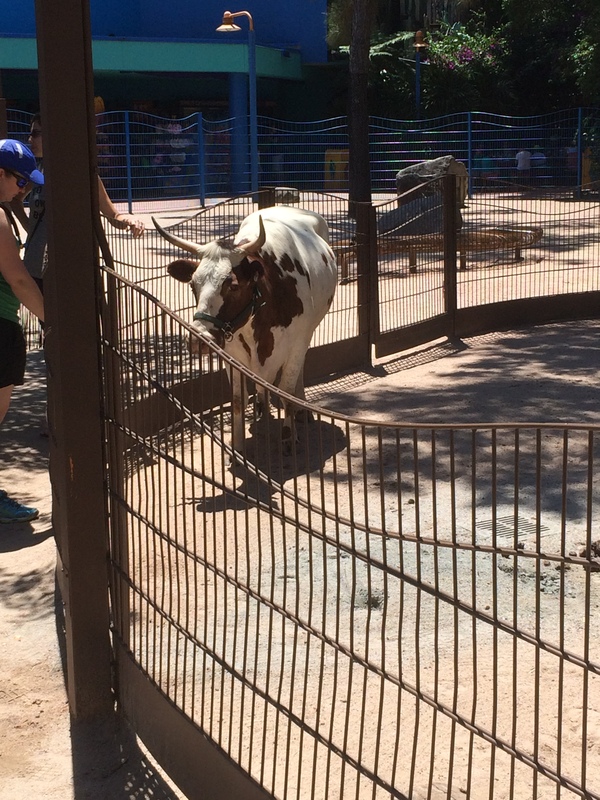 Disney is very eco-friendly. In the building, you can meet Rafikki himself! We also saw Chip and Dale but opted not to get in line to meet them. 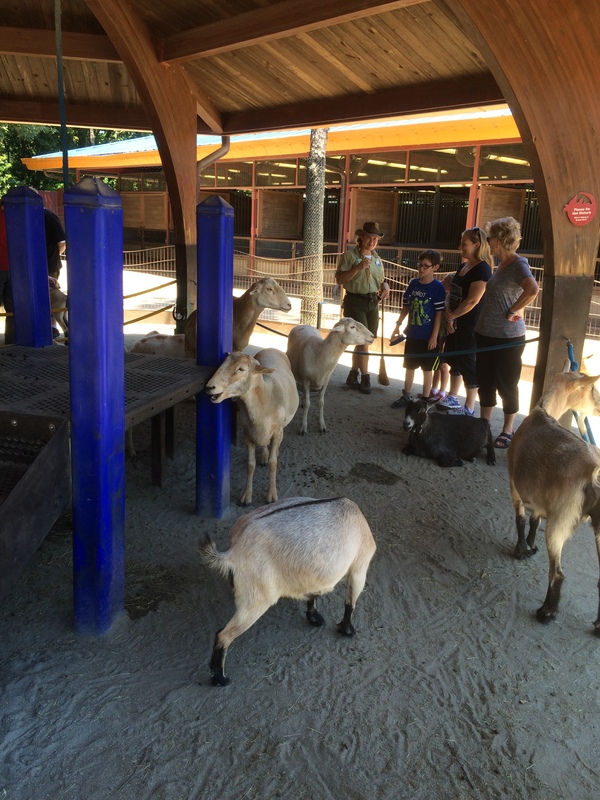 Outside of the exhibit building, there is a petting zoo. Look! A hidden Mickey! 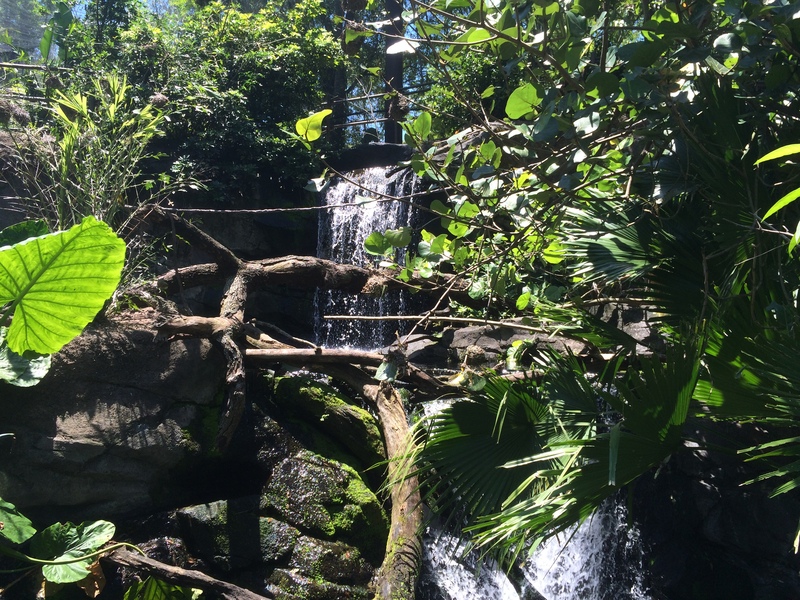 After Rafikki’s Conservation Station, we headed towards another nature trail to see some gorillas. 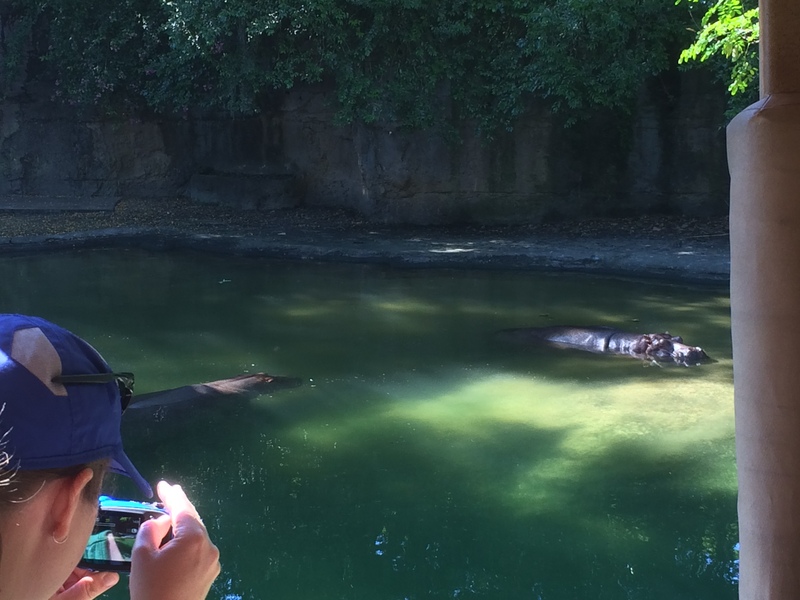 Of course there is more to see than just the gorilla’s. 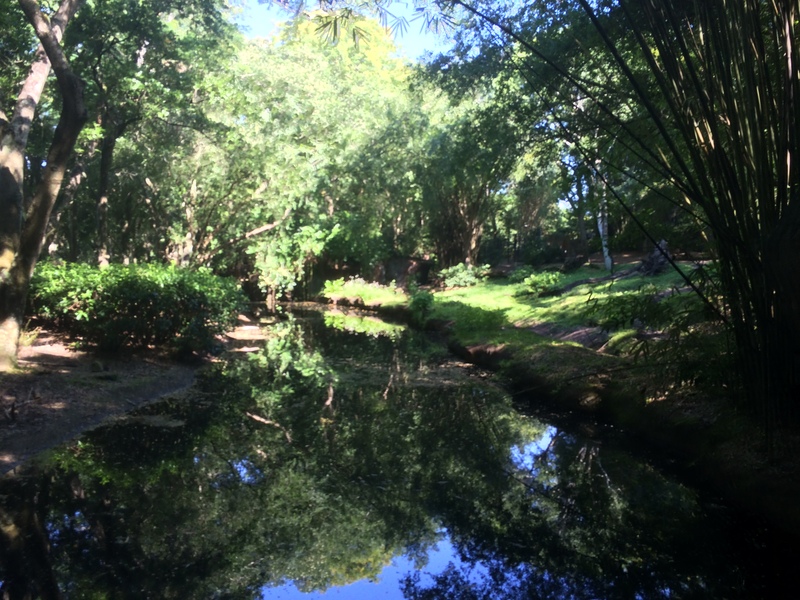 Again, more awesome nature to experience! 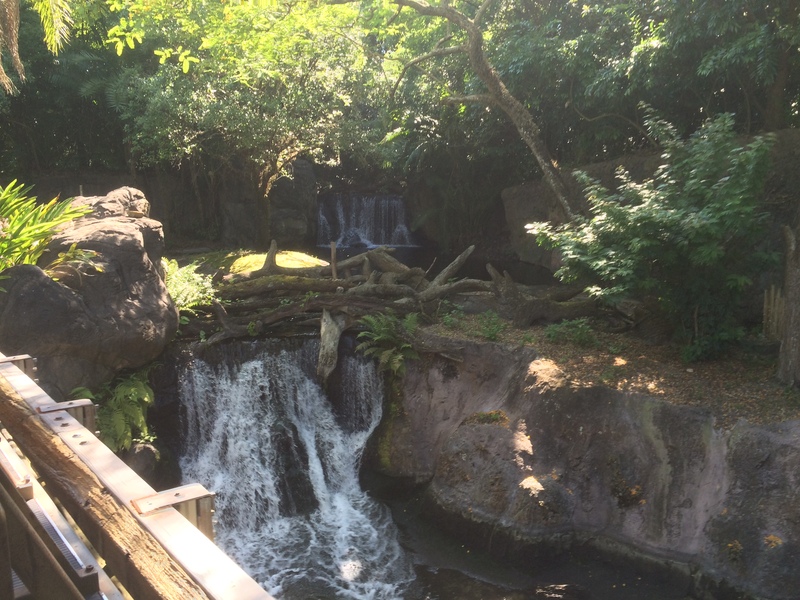 Underneath the waterfall, you could see the fish! 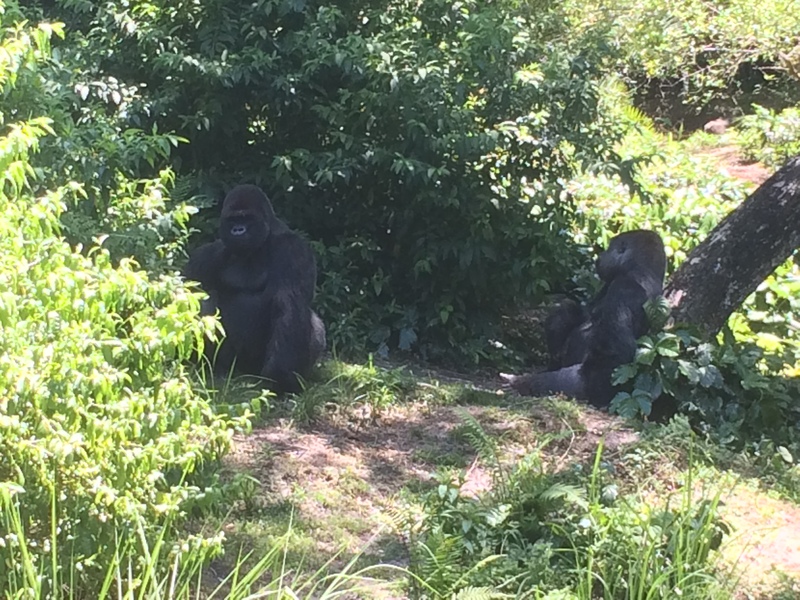 Finally, we got to the gorillas! 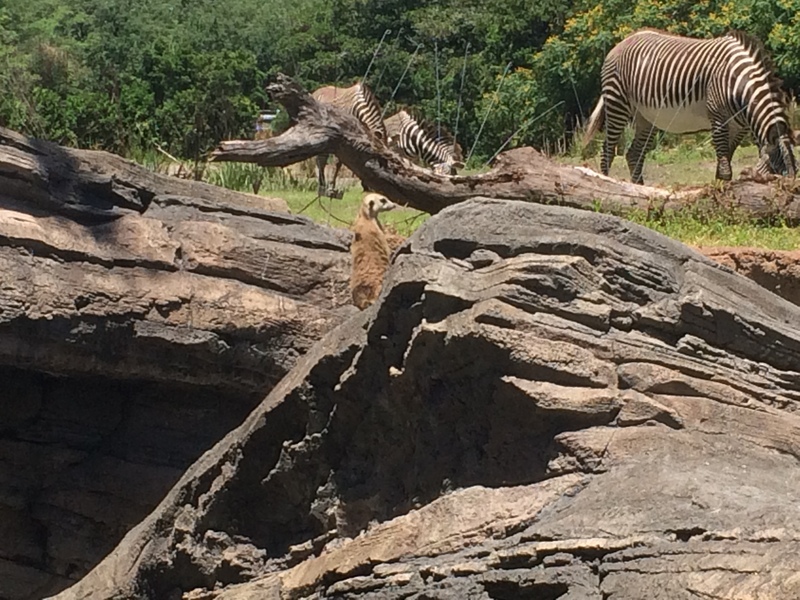 These guys were posing for us! It was pretty funny to watch. You could tell they were enjoying all the onlookers! 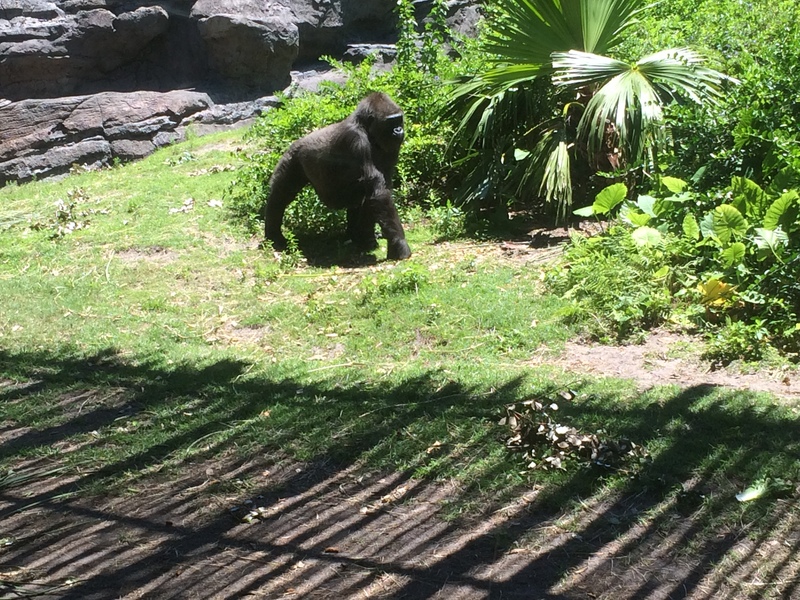 There was a whole family of gorillas to watch. 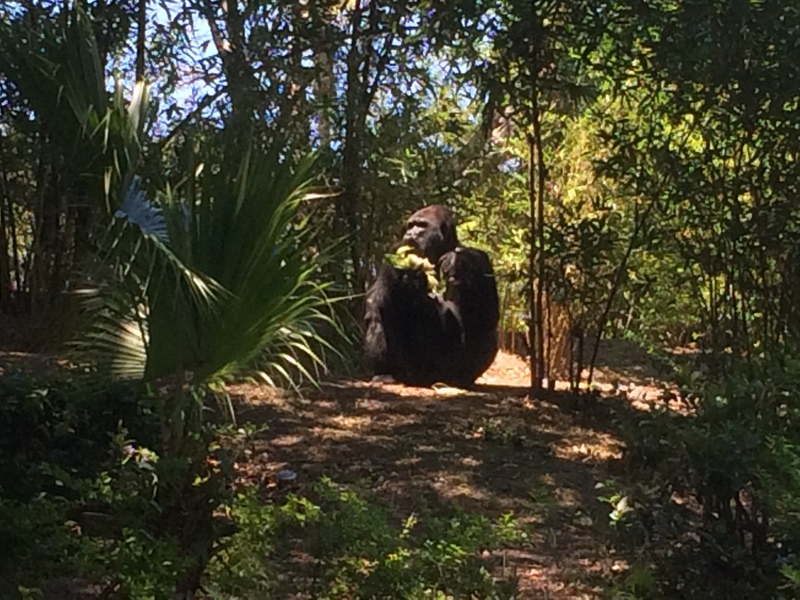 This guy was enjoying some food. 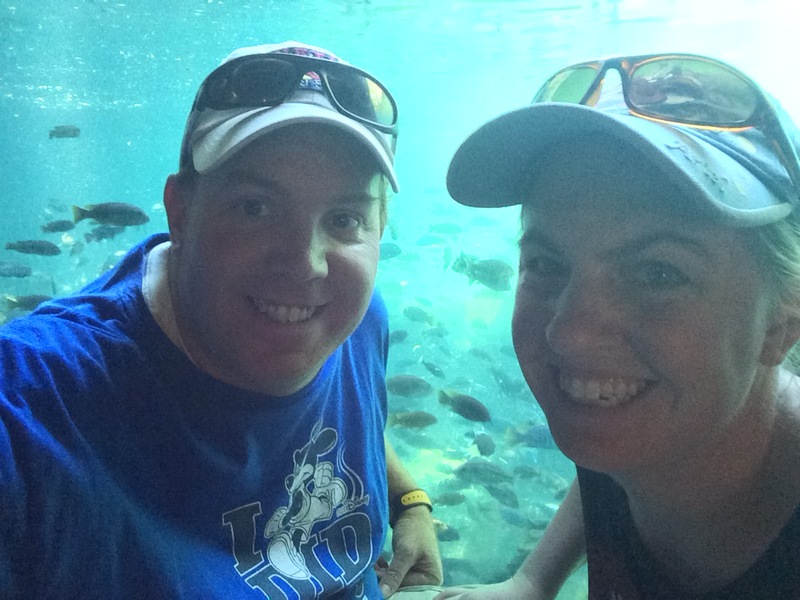 After checking out the gorillas, we went looking for some food. 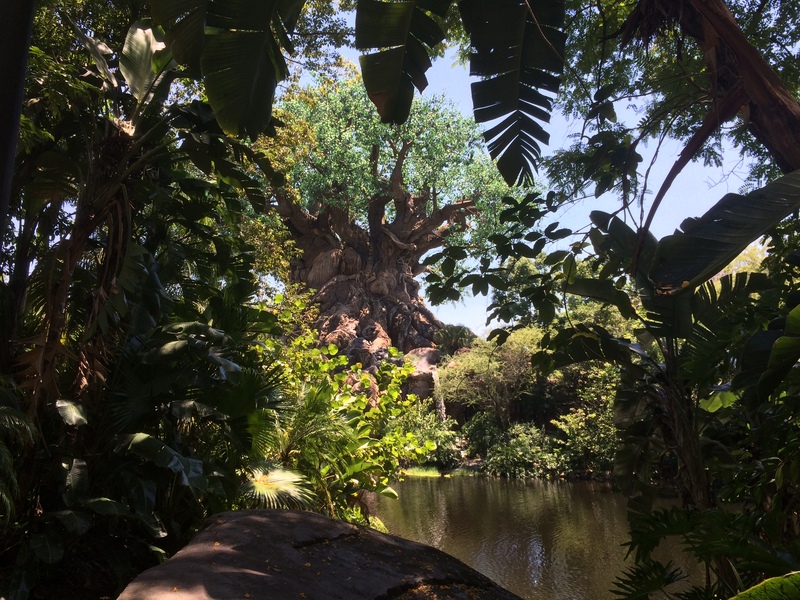 Along the way, I found some fun places to get pictures of the Tree of Life. 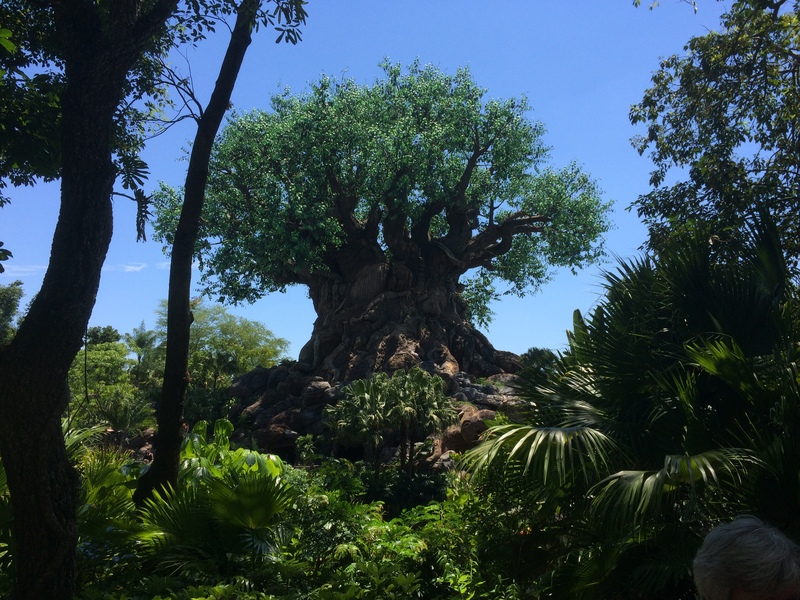 Expedition Everest may be the main attraction of Disney’s Animal Kingdom, but the Tree of Life is the icon of the park. It took a little time to find a place we could dine because we did not make any advanced dining reservations. 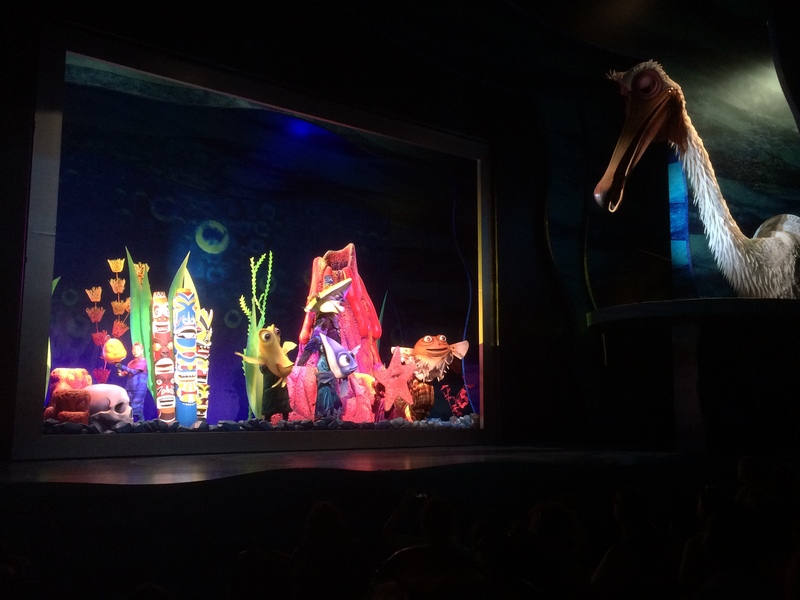 However, after lunch, Brooke and I headed off to see Finding Nemo: The Musical. This is a really inventive show, in my opinion. 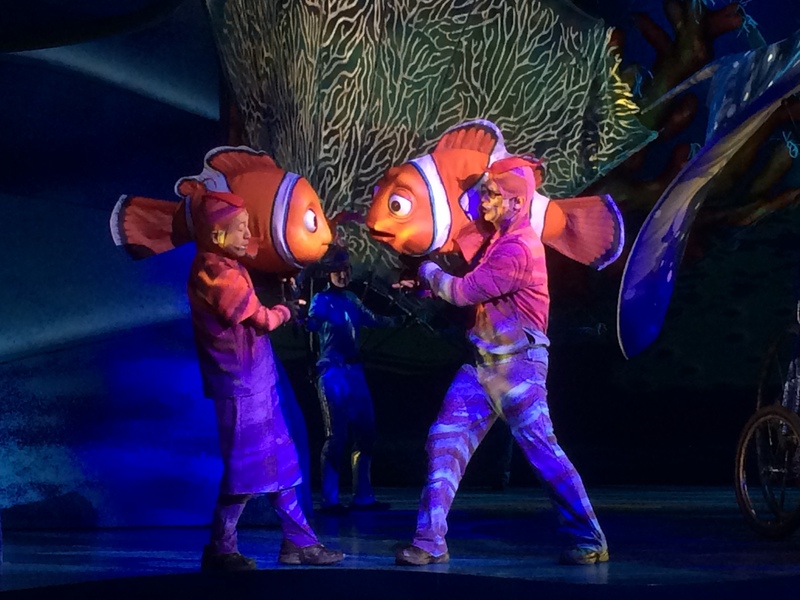 It’s interesting because the movie Finding Nemo was not a musical in any way. So, to hear the music was really cool! Fish are fiends, not food. I only got a part of this song. Since I don’t know the show well enough, I thought the song had finished, but was wrong. The staging of this show is pretty amazing as well! 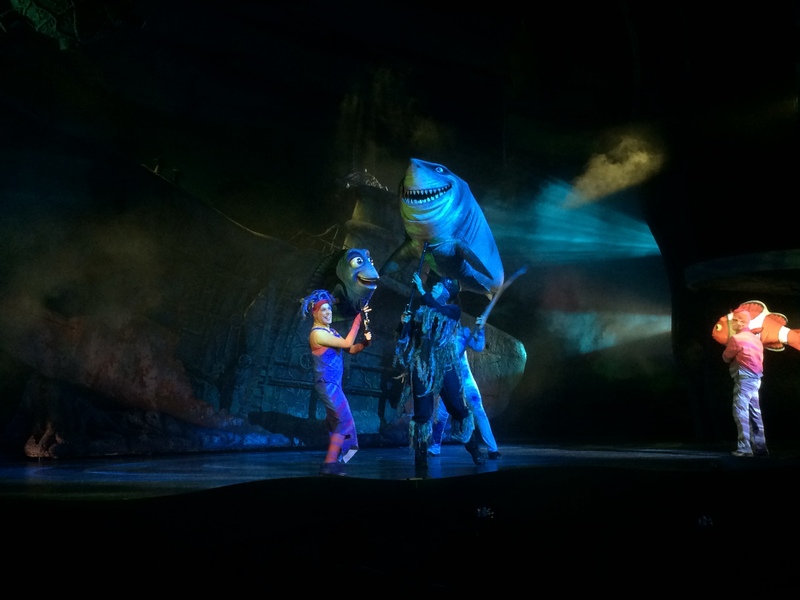 Here’s Marlin riding the EAC with Crush! 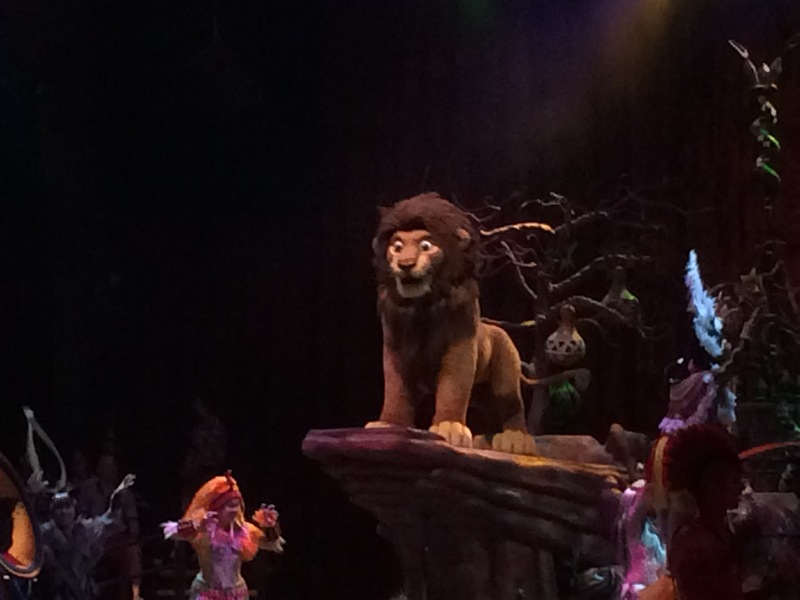 Much like the Festival of the Lion King, I cannot say enough good things about this show. 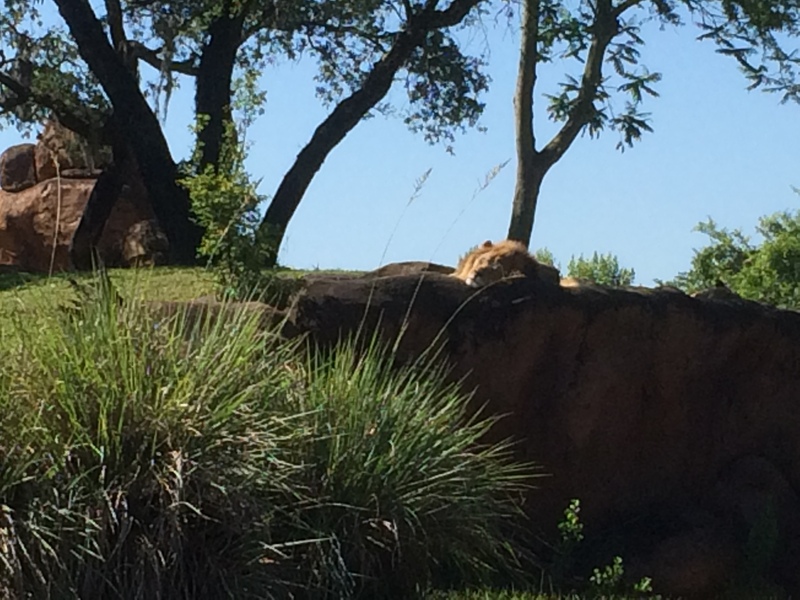 Just like that, it was getting time to leave Disney’s Animal Kingdom. I had some other plans for the night and Brooke was getting a little tired out. We left the park around 5 or 6pm. 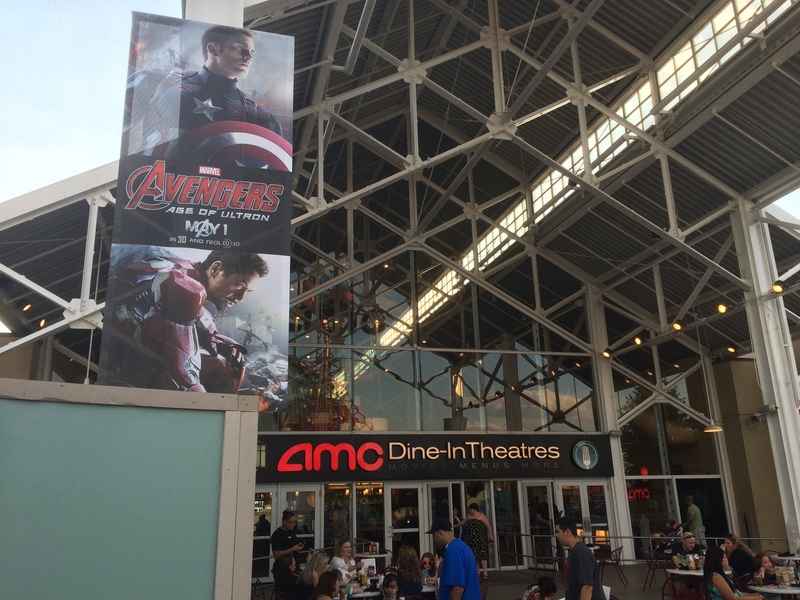 This was the day that Avengers: Age of Ultron opened. So, I purchased my tickets with my iPhone while we waited for our bus back to the All Stars Movies Resort and I was all set. 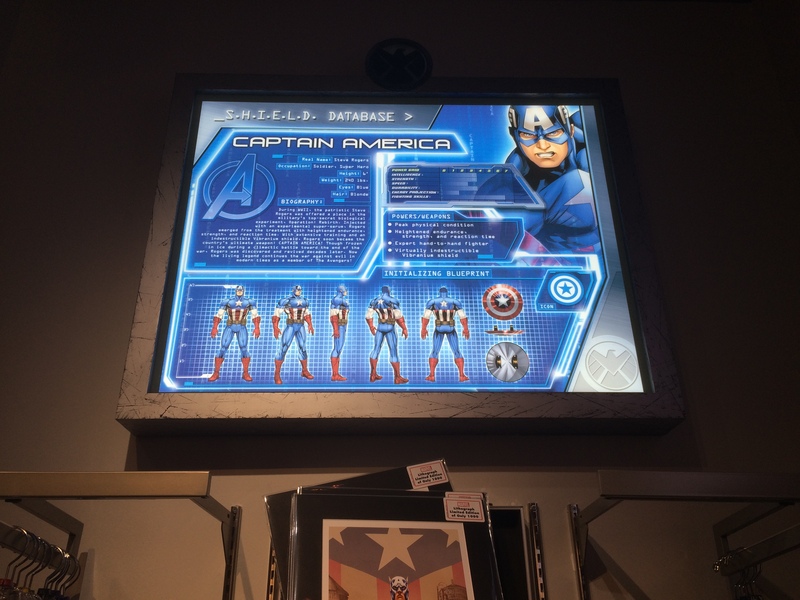 I thought it was pretty cool that I got to see Avengers: Age of Ultron at Downtown Disney in Orlando! 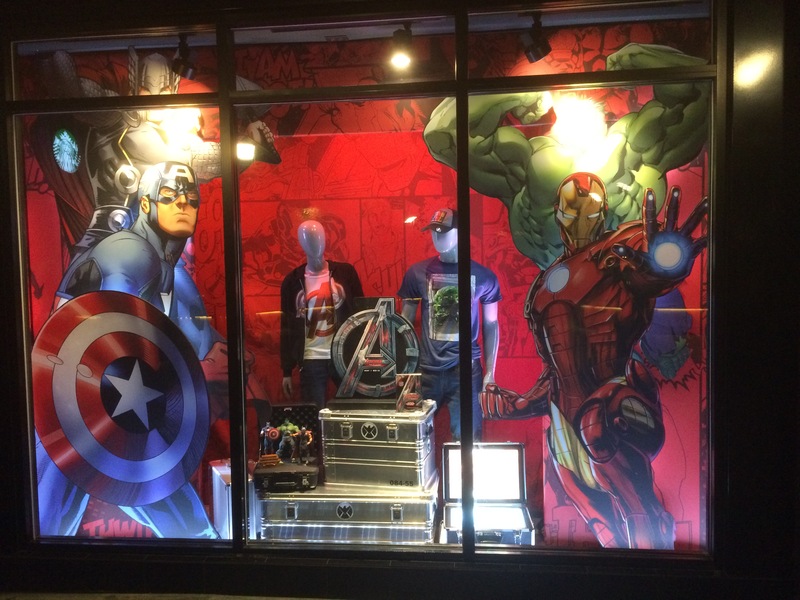 After the movie, I walked through Downtown Disney and checked out the newly opened Marvel Super Heroes store. 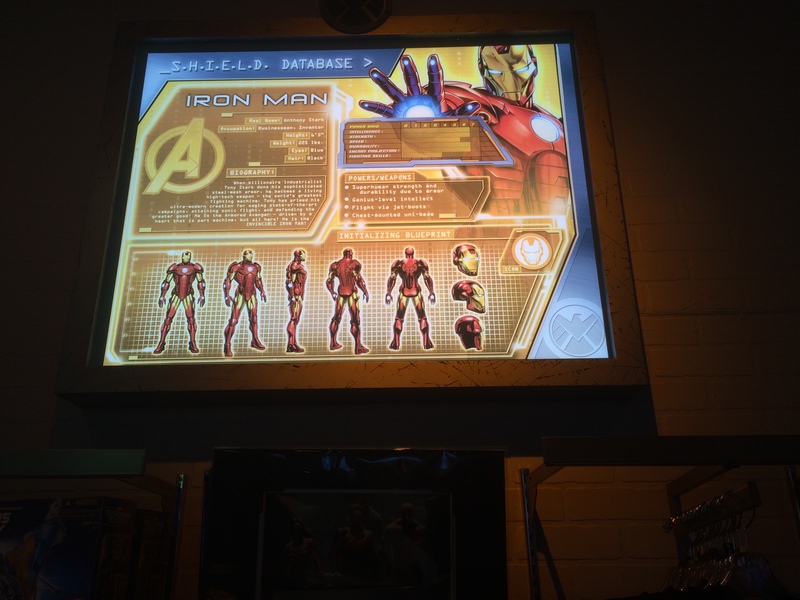 I loved this store! From what I learned, this store had just opened when we arrived in Orlando. Talk about great timing! 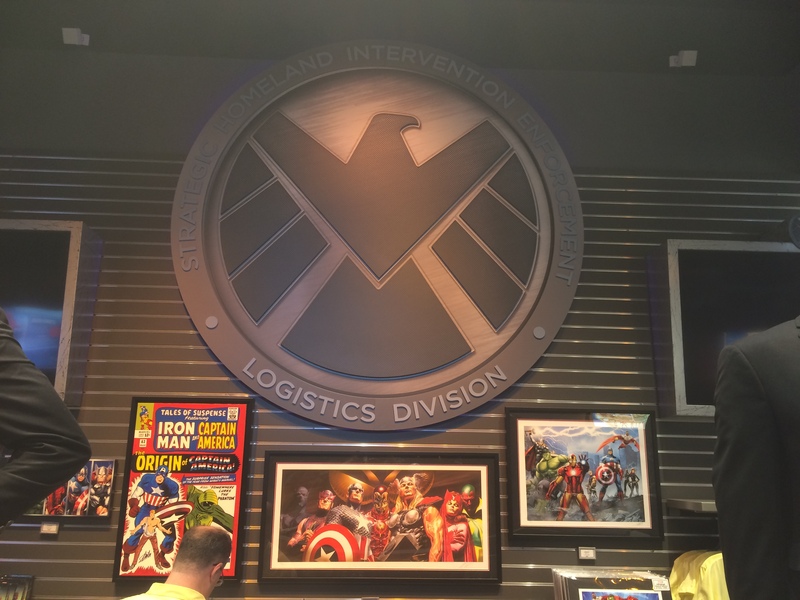 As you might imagine, there was lots of S.H.I.E.L.D. 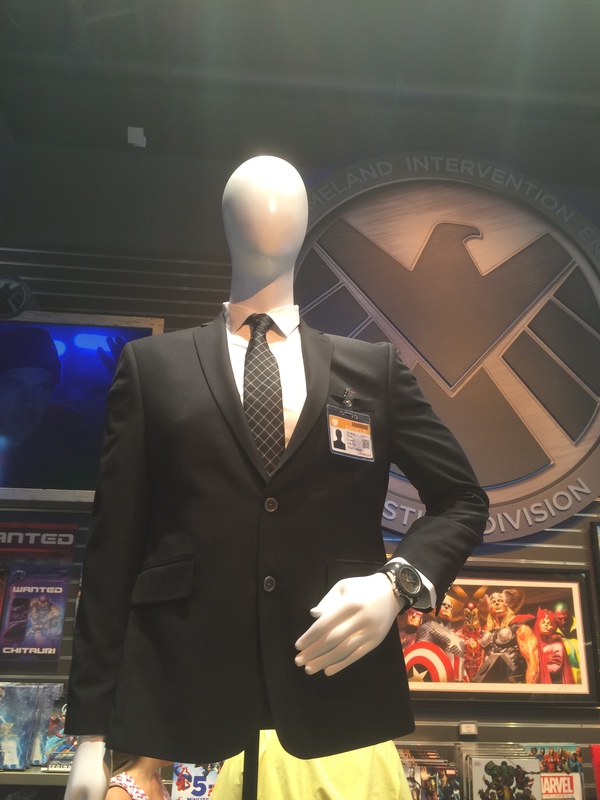 props in the store. I liked these panels that told you a little about some of the Marvel characters. I had to share both Captain America and Iron Man since they are my favorites! As much as I would have loved to hang out more, I had to get back to my resort. 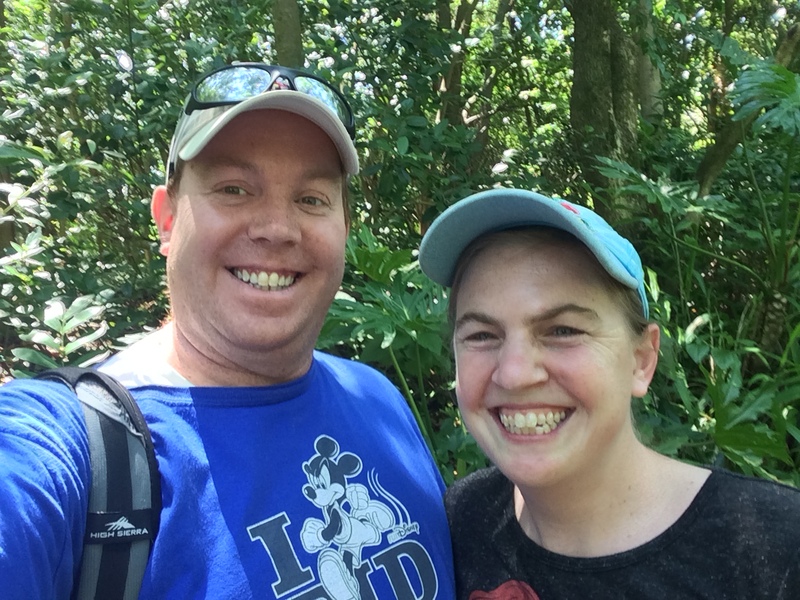 The next day was EPCOT Day! 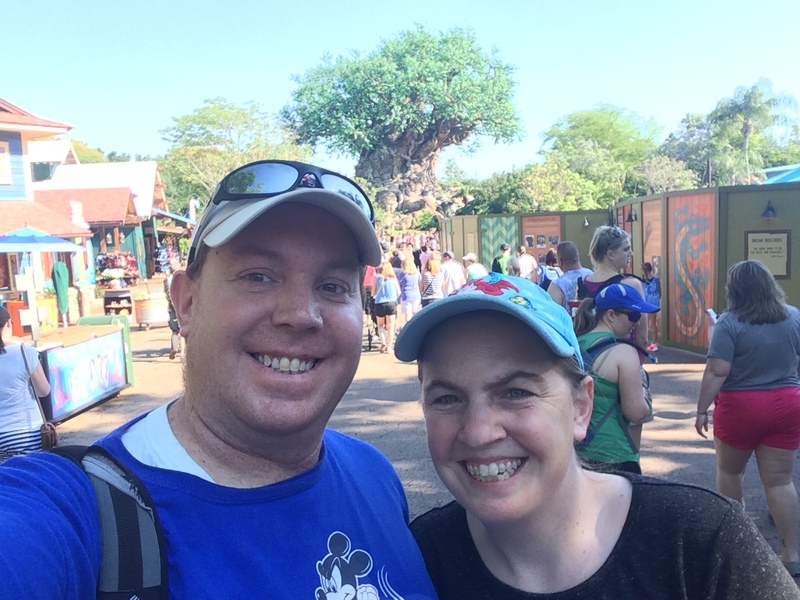 The day started off with a run to Blizzard Beach. 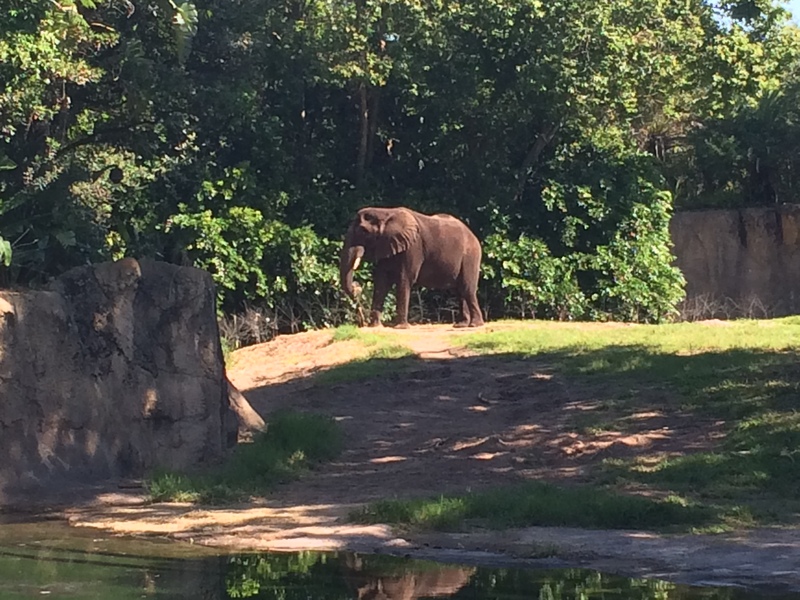 Then, we spent the day at Disney’s Animal Kingdom. It ended with taking in Avengers: Age of Ultron. 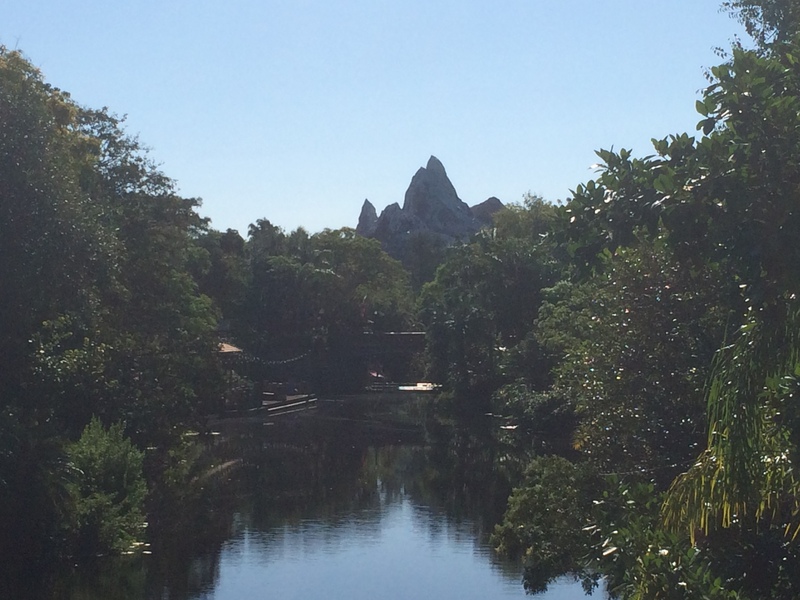 As I rode the bus back to my resort, I couldn’t help but thing…what a perfect day!